Aluminum alloy (not standardized) with the chemical denomination AlSi0.5Mg for use in sand casting, gravity die casting and pressure die casting. 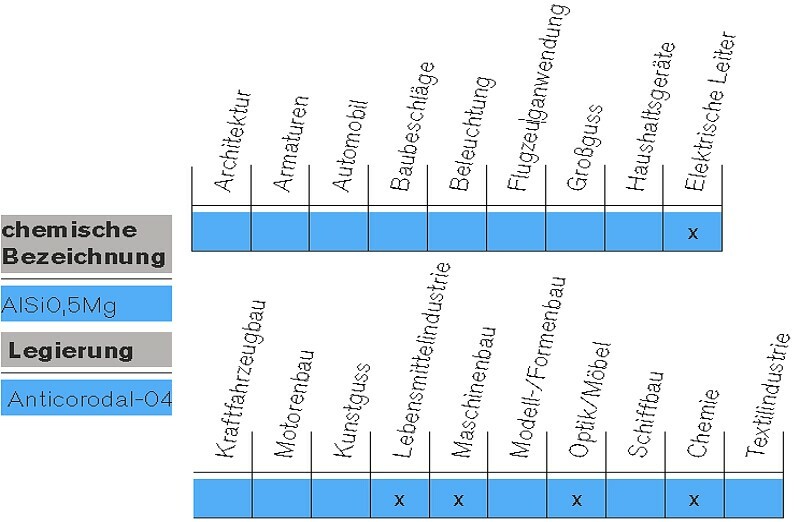 The chemical composition of an alloy of this type with the brand name Anticorodal®-04 from the manufacturer Rheinfelden Alloys GmbH & Co. KG can be found in Table 1. 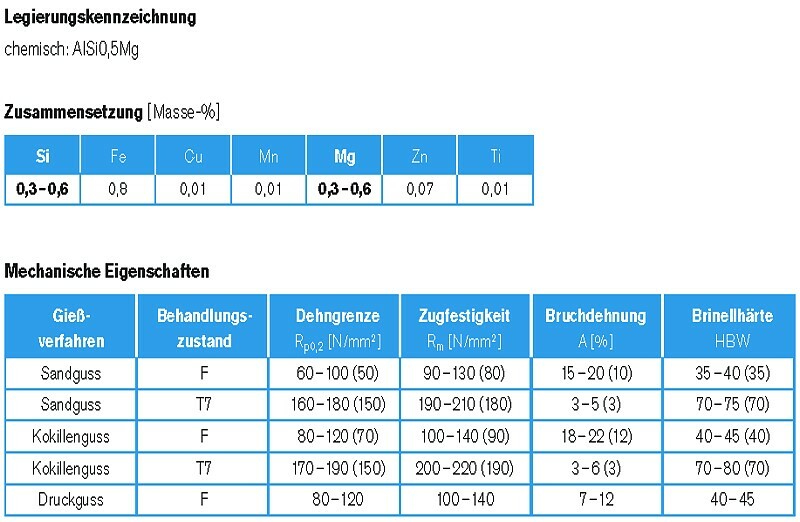 Alloy for electric conductors of medium strength and hardness (Table 1). Premium corrosion resistance, very good weldability and suitable for decorative anodizing (with the exception of pressure die casting). Very well suited for brazing (Table 2). For castings with high electrical conductivity, e.g. 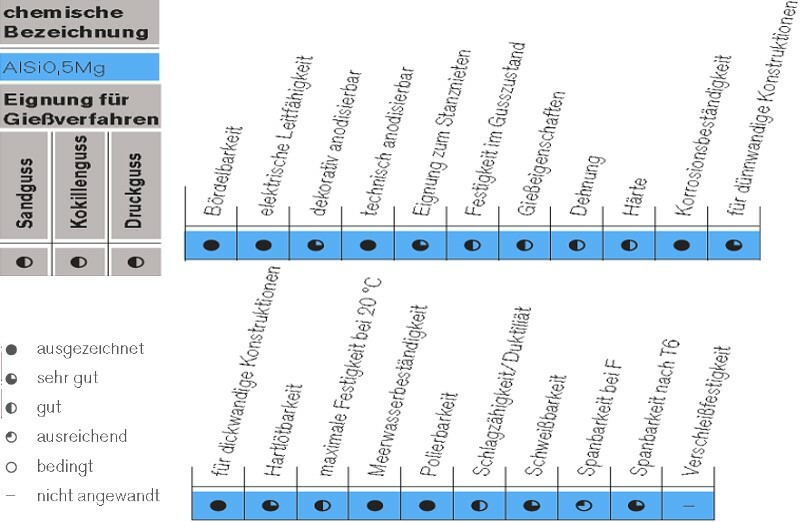 electric conductors, used in food industry, mechanical engineering, optics/furniture (casting of fittings), chemical industry (Table 3). 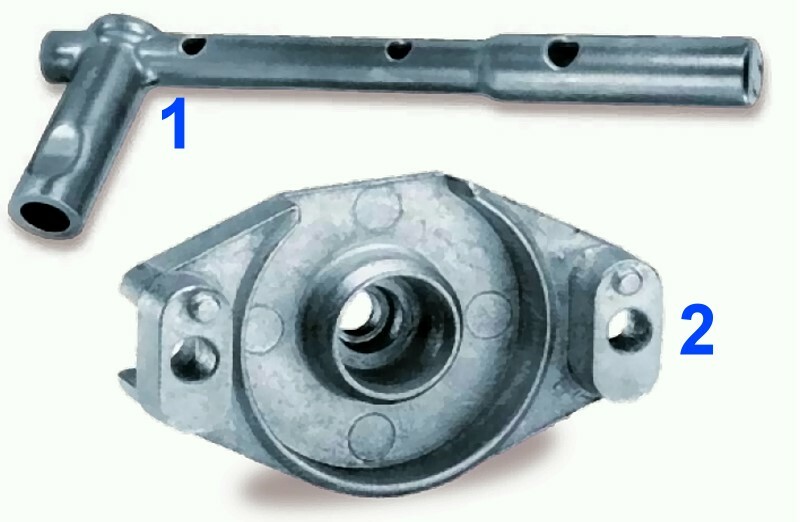 Two castings made of this alloy are exemplified in Fig. 1.